Rune Guardian - Unlock the power of the sacred runes by solving mysterious 3D puzzles. As the Rune Guardian, you will help restore order to Kilarin so its beautiful worlds can once again thrive. Your quest is to collect the lost runes and get to the magic portals. Challenge your brain with each roll of the block and carefully use the special bridges, switches and tiles as you complete your quest. Collect lost runes to increase your mana and gain the greatest achievement when you collect them all. 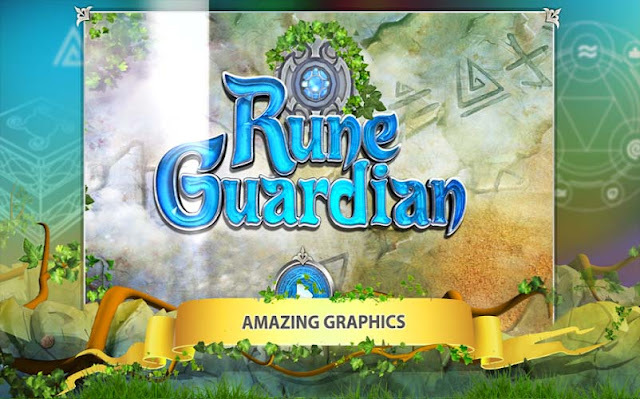 Rune Guardian combines the best of roll cube games with beautiful 3D worlds. Test your logic and memory by solving each challenge with the most efficient path of moves. Can you be the next Rune Guardian? Play by swiping to move the block. Be careful not to fall off the edges, or stand tall on a bridge (You will fall through). If stuck you can take advantage of hints, or skips to aid in your adventure. Successfully navigate the rune to the glowing portal to complete a level. This initial release of Rune Guardian brings three beautiful 3D stages, each with 13 levels which are guaranteed to challenge. Return to the game daily for extra rewards. Complete level 13 of each stage to see the world brought fully back to life.